Nicole brings her culinary background and love of food to the TasteTro table. 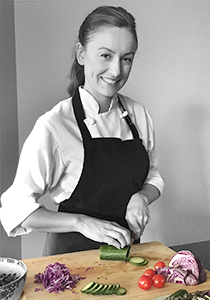 A professionally trained Red Seal Chef, Certified Holistic Nutritional Consultant and Certified Personal Trainer, Nicole loves sharing her extensive culinary and wellness experience with TasteTro followers. Nicole lives her mantra: ‘nourish your body to feel happy and healthy’. In her free time, Nicole loves to cook (of course! ), bake, ferment veggies and hike the Rocky Mountains.